First, make a New Zealand visa photo at visafoto.com. Then go to the https://www.immigration.govt.nz/new-zealand-visas/apply-for-a-visa website. Register at RealMe, it is required for applying. There are different types of NZ students' visas. Choose the one that is suitable for you. 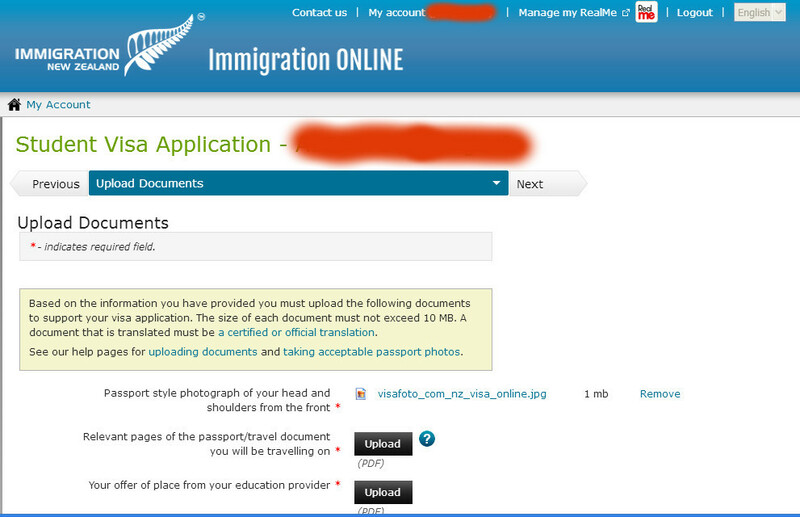 You can verify at the immigration.govt.nz website if a visa type is suitable for you. In the Upload Documents section press the Upload button next to Passport style photograph. Upload your photo you made at the step 1. You will see the name of your photo file instead of the image like on the screenshot above. You are done with the photo.